Travelling in South East Asia is freaking amazing – the sights, the sounds, the smells (ok so maybe not all of the smells!) 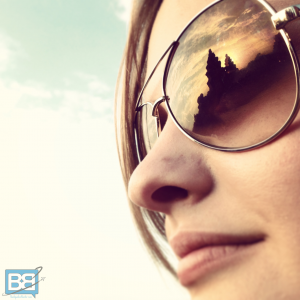 …it’s a huge bombardment for the senses in the best possible way! Over the last few years I’ve spent a considerable amount of time exploring this part of the world and everytime I return I wonder why I’ve spent so long away from it! With so many amazing countries to explore and an abundance of experiences to get involved in there’s no wonder why this part of the world is a favourite for backpackers – the low living costs, amazing cultures and sheer variety mean no matter what your budget, style and interests there’s something for everyone in this South East Asia. It’s also an area that you guys seem super keen to find out more about too, posts like “How Much To Budget For A Month In Thailand” and my “Thailand Mini Guide” are some of my most read blogs – in fact the budget post has been viewed over 120,000 times! Since I’m putting together my next set of South East Asia travel plans I thought I’d share a quick run down of all the countries I’ve explored to help you guys decide which to fit into your own travel plans and a quick overview of what to expect. There’s obviously some countries missing (like Burma, Japan, China etc….) but hopefully it’ll get you even more stoked for backpacking South East Asia! UPDATES; Vietnam is now included following my trip there in Dec 2015! Sri Lanka is now included following my two trips there in early 2016! Maldives is now included too after my trips there in 2016, 2017 and 2018! Oh Thailand…I Do Love You! The land of a thousand smiles is one of the most popular countries to travel in South East Asia, Bangkok is a huge international hub making it an easy and cheap place to fly into and the position of Thailand means it’s a great bouncing point to head off into other countries afterwards. The common overland trail of Bangkok down to Singapore is an easy route to tackle and there’s plenty to see and do in this beautiful country too. 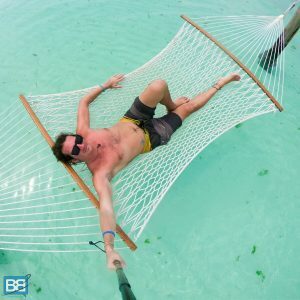 Whether you fancy learning to scuba dive in Koh Tao, island hopping over on Koh Phi Phi, tackling the infamous Khao San Road in Bangkok or chilling up in the jungle in hippie spots like Pai there’s plenty of adventure to be had and it’s a spot I’ve been drawn back to time and time again. 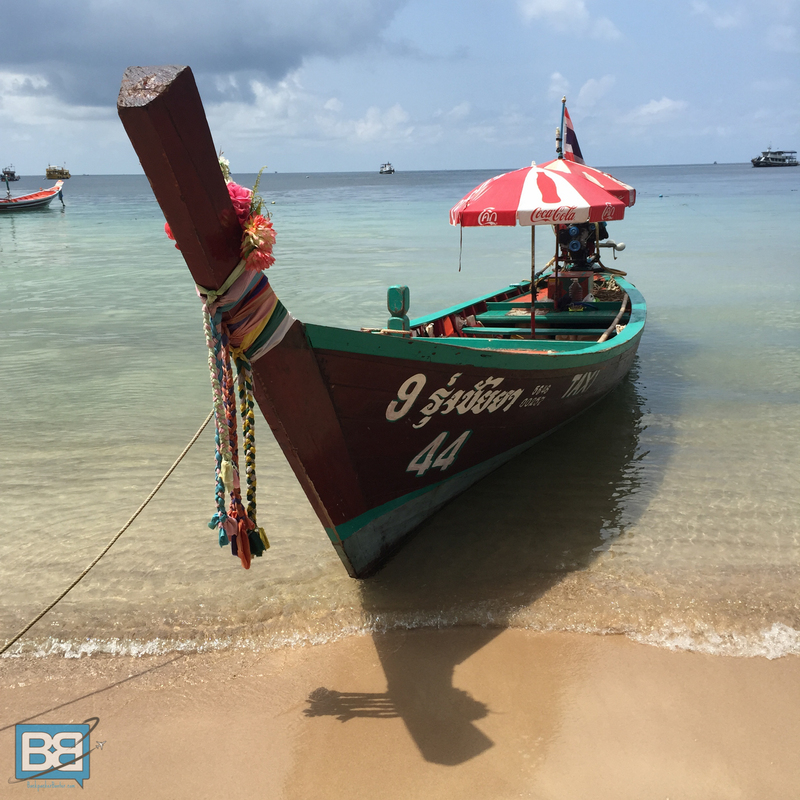 With a solid tourism infrastructure Thailand is the perfect country to introduce you to travelling in Asia too whilst still retaining heaps of culture, food and backpacker goodness, so there’s no wonder it’s heaps popular! I’ll admit now that Laos is probably my least favourite country in South East Asia. I really should head back and give it another chance though as it’s also the country I’ve spent the least amount of time in! 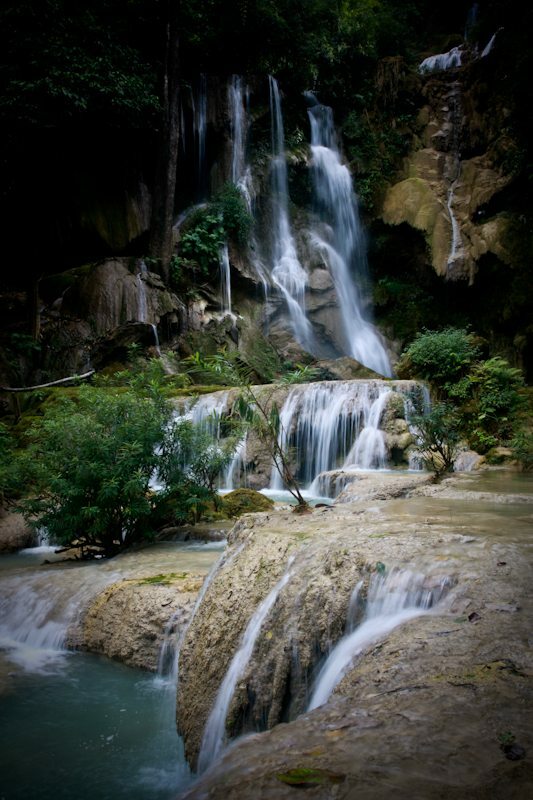 Having overlanded from Thailand I did massively enjoy Luang Prabang though and the waterfalls outside the town are some of the most incredible I’ve swum in around the globe! The debauchery of Vang Vieng kind of tainted Laos for me – however this has now been shaken up and apparently it’s now and incredible spot for adventure tourism apparently, all the more reason to go re evaluate it! But The Waterfalls Are Stunning! The biggest let down for me though was the food. Considering the amazing culinary countries it’s surrounded by I thought Laos was a bit rubbish when it came to eating, which never puts me in a good mood…and that’s even before I went veggie. Still if you want to tackle the 2 day slow boat over from Chang Mai and explore there’s plenty on offer including spots like Luang Prabang, Vietianne, Vang Vieng and the 1000 Islands. It also fits in super nicely if you’re looping down into Cambodia too so it slots into most SEAsia travel itineraries pretty fluidly. Explore waterfalls, delve into the history of the most bombed country in the world or try and spot the illusive pink river dolphins there’s a great variety of stops and experiences. Cambodia is easily one of my favourite places in South East Asia – I love it there! Not only is it INSANELY cheap (less than 30p for a beer in the pub!) it’s super easy to get around and there’s a great cross section of things to explore. Go all Tomb Raider and check out the epic temples of Angkor Wat, explore the darker history of Cambodia at S21 and the Killing Fields, meet some elephants at the Wildlife Alliance, party on Pub Street, relax on the amazing island of Koh Rong in the south of the country or even shoot and AK47! For me it’s the perfect companion to Thailand when it comes to a shorter stint of 4-6 weeks in Asia. The best thing about Cambodia though is the people, I felt so welcomed by all the locals I met and they were genuinely friendly and smiley despite the recent and dark events they’ve been through. It’s a testament to the spirit of this amazing country. Vietnam – GO GO GO! Vietnam is the most recent spot in South East Asia that I’ve explored and I have one take away from it – why didn’t I travel there sooner?! I spent 3 weeks travelling up the coast from Ho Chi Min City to Hanoi after heading overland there from Cambodia and to be honest 3 weeks just wasn’t enough! From the moped chaos of Ho Chi Min to the beautiful lanterns of Hoi An. The crisp mountain air of Dalat and the stunning sand dunes of Mui Ne – Vietnam has so much to see and do. And the coffee?! Oh the coffee! It’s totally ruined coffee for me but it was well worth it for 3 weeks filled with ice coffee, brewed coffee and egg coffee…so if you head that way make the most of it. As with most spots in Asia is was super easy to organise transport throughout (I used overland buses, internal flights and mini buses) and there was plenty of accommodation for all levels of budget and style. 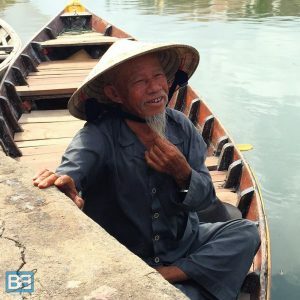 Check out my Vietnam Mini Guide for more info on where I headed and what I got up to! I didn’t spend crazy amounts of time in Malaysia as I made my way overland to Bangkok from Singapore but it was certainly a country I enjoyed, despite only scratching the surface. The capital – Kuala Lumpur – is the hub of Air Asia so it’s a really easy and cheap country to fly into and use as a connecting point to the rest of South East Asia and beyond…including some super cheap flight details to the likes of Australia, Japan and Indonesia! When it comes to other things to do the area of Penang is world famous for it’s food (seems I like my South East Asia cuisine hey?!) and is well worth a stop off, as is Kuala Lumpur for some amazing shots of the Petronas Towers. But for me the highlight of Malaysia was my stay on the Perhentian Islands on the East Coast – they were stunning! As part of the main overland routing through Asia it’s dead easy to get around although the distances do involve some fairly hectic night buses, sometimes it’s actually easier and cheap to double back to Kuala Lumpur and fly to the next destination!haha! Since I don’t like cities Singapore has always served as a stopover between international flight paths and I’ve never stayed more than a few days in the city. Still as far as cities go Singapore is one of the cleanest and most efficient places I’ve ever stayed! 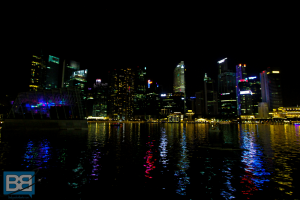 Make sure you head down to the Marina Bay Sands and surrounding parks in the afternoon to take some awesome shots and watch the city skyline light up at night. I can highly recommend staying at Matchbox Concept Hostel in China Town if you fancy sampling a few nights in a pod hostel amongst one of the more eclectic areas of the city. My highlight here was the Singapore Night Safari which is a pretty unique and unusual, although I’m not really a zoo person anymore – slightly spoiled by my safari in South Africa! 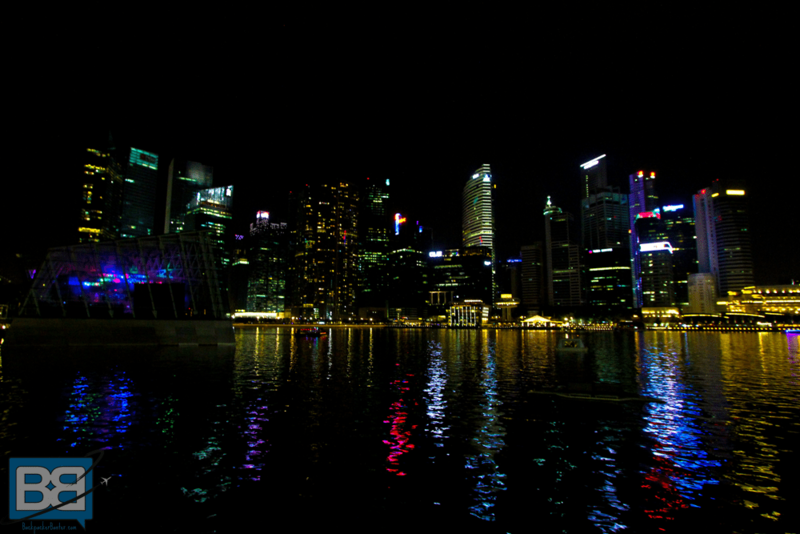 Still if you’re in Singapore it’s one of the top rated things to do! And of course you can head to Raffles and sample the original Singapore Sling…a bit of a budget buster though as Singapore comes with a much heftier price tag than the rest of South East Asia, so be warned! But check out these budget tips for Singapore to help you out. Cons: not crazy amounts of things to do, high price tag, it’s a city! For me The Philippines ticks all the boxes for an epic travel destination. Not A Bad Spot Hey?! There’s incredible scuba diving, loads of wildlife, island hopping and of course surf spots too! In fact I’m annoyed that I didn’t head there sooner – but better late than never hey!? 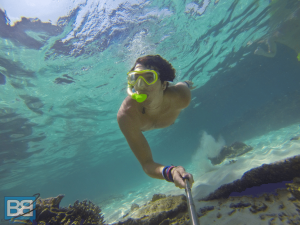 I’ve spent time in Manila, Siargao, Bohol, Palawan, El Nido and Coron now and I’ve had an absolute blast! There’s so many things to see and do – from swimming with whale sharks to surfing in Siargao and with over 7,000 islands to explore there’s plenty of scope to get off the tourist trail and have a solid adventure. 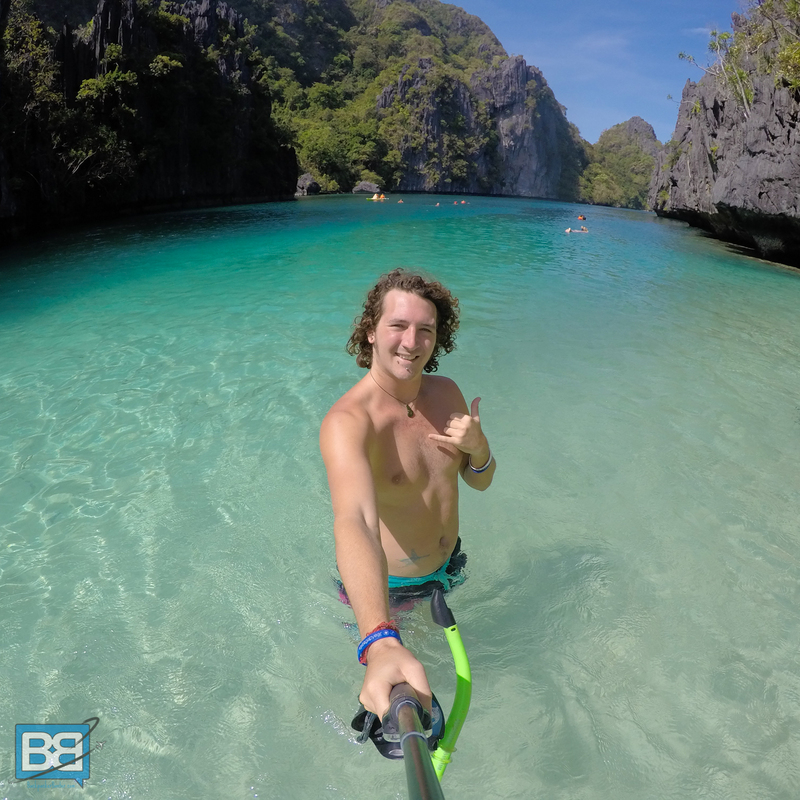 For me the highlight of The Philippines are the people themselves – much like Cambodia they’re incredibly friendly – but Filipinos also speak really good English which just makes everything heaps easier and is a huge plus to travelling around there! In fact there’s very little not to like about the Philippines and the only real negative is the fact that because it’s a huge network of islands you need to plan a bit more and that usually involves splashing out on internal flights. Still that’s a small price to pay to explore some of the most beautiful places I’ve ever visited and it comes highly recommended! Pros: cheap cost, heaps of island to explore, something for everyone, great surf, less touristy than much of SEAsia, extremely friendly locals, everyone speaks English! 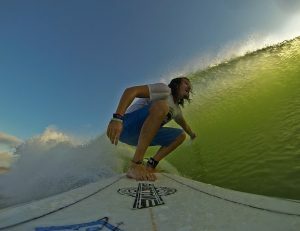 The Main Reason I Head To Indo! Despite all the amazing places to explore, surf is the main attraction in Indonesia…for me at least! If you’ve ever wanted to learn or already love the waves then Indo and Bali are packed for of epic surf spots – from the world famous Uluwatu to Red Island in Java, Medewi and many more in between. If this is the reason you’re heading that way jump on a Bali surf charter to make the most of it! Kuta is actually the base I use in Bali due to the fact it’s heaps cheap and walking distance from the beach but if you’re really looking to experience some more of what it has to offer spots like the Gili Islands and Ubud are always a good shout. Explore monkey terraces, temples, learn to freedive or scuba dive alongside turtles and the famous Liberty Shipwreck or head further West and visit Komodo, there’s a lot of options for travelling in Indonesia! Big spots like Bali are tourist meccas and won’t be favoured by a lot of travellers but there’s so much opportunity to stray from the beaten path. Again cheap living, awesome culture and amazing food all make Indonesia a firm favourite in my book and I’m always heading back for more! I only spent a few weeks in Taiwan quite recently and from what I experienced it’s a bit of a mixed bag. On one hand there is heaps of culture and amazing food to discover – but the West coast is pretty much one huge city…which are never my cup of tea! The East coast on the other hand is full of natural beauty and surprisingly good surf too! 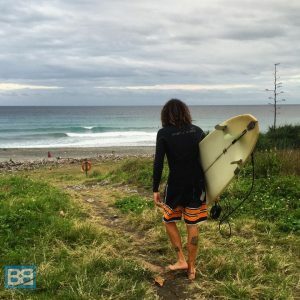 The first part of my trip was with Island Rhythm Surf Tours and we scored some awesome waves and it was a great intro to the country, especially considering the language barrier out there. The main downside for me thought was the cost, as Taiwan is more expensive than a lot of other South East Asia countries, not so much for food – but accommodation was around $15USD for a dorm bed! Even though cities aren’t something I’m a huge fan of Taipei offered up some interesting experiences – including toilet themed restaurants, awesome views overlooking the Taipei 101 building and even love motels! It wouldn’t be my first suggestion, but for anyone looking for something different Taiwan is somewhere to consider. Cons: language barrier can be an issue, more costly than a lot of other Asian destinations, West Coast is one large city, can be difficult as a vegetarian! 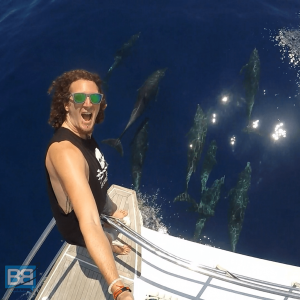 Dolphin Watching In Sri Lanka Was Epic! Sri Lanka is somewhere that wasn’t really high on my to do list – but when the tourism board of Sri Lanka invited me to come and explore what it had to offer I wasn’t going to turn it down! And I’m glad I didn’t – Sri Lanka turned out to be an amazing place to explore and it’s somewhere I’d highly recommend! Sure it’s not as easy to bounce around as spots like Thailand or Cambodia but there are heaps of things to do in Sri Lanka and loads of awesome destinations to see! From tuk tuk safaris in Columbo and tea plantations in the centre to whale watching in Marissa and incredible temples in Kandy – it’s a land filled with amazing food, scenery and people! Make Sure The Maldives Is Part Of Your Asia Trip! For me the Maldives was always somewhere I’d thought of as well out of my price range – a honeymoon destination. But when my Maldivian buddy Ni invited me over I decided it was the perfect excuse to see if budget travel in the Maldives was possible. And I’m super stoked to say it really wasn’t as costly as I thought it would be! Sure it’s not as cheap as Thailand but it’s certainly cheaper than spots like Australia or New Zealand…and you’re in the freaking Maldives! Stunning beaches, pumping surf and epic diving are all on the cards with this amazing destination and whether you decided to keep it cheap enjoying local island like Fulidhoo, surfing on Himmafushi splash out on a luxury resort the Maldives should certainly be part of your Asian adventure! 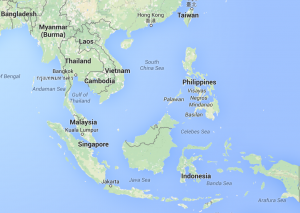 Have you travelled to South East Asia? Any hints, tips or comments on where to go and where to avoid? Glad you had a chance to see Southeast Asia. Sounds like a great trip. Have you been to Phuket? Hey Jack – I’ve spent heaps of time there over the last few years, always get drawn back! Indeed I hit up Phuket a bit whilst doing my dive training in Phi Phi! When we last went to Thailand, we wanted to combine Cambodia as well…but unfortunately my daughter’s school didn’t allow us the flexibility. But it is definitely on the plan now. The fact that it will be our third trip in last one year…we will have to keep it cheap as well. So Cambodia, works! Enjoy – Cambodia is an amazing spot to explore and definitely one of the cheapest places in Asia! 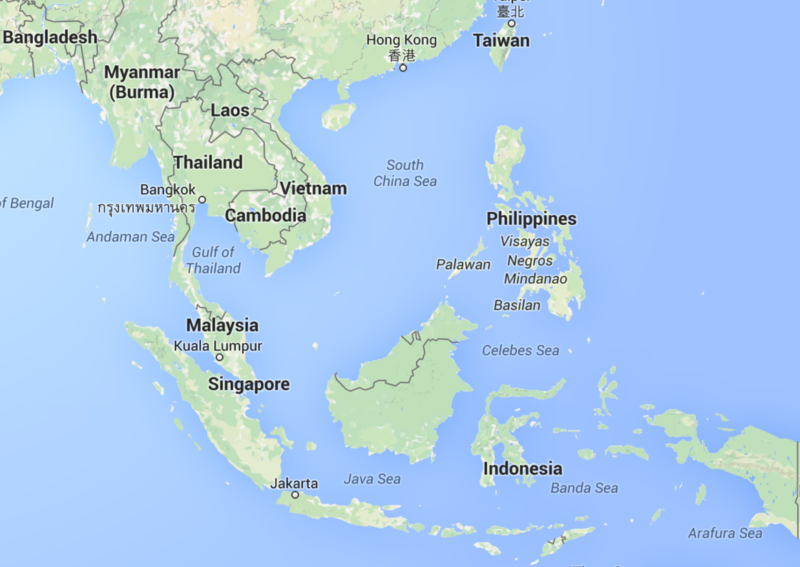 There’s a LOT to see in Southeast Asia. So far I touched Singapore, Malaysia. In fact, I think Southeast Asia is one of the World’s most exciting places. Totally agree – there’s so much more I want to explore too! There’s a nice surfing hotspot in the Philippines’s Pacific Coast. Google Siargao. But that would be another plane ride. Another option is Baler, which is a bus ride away from Manila. Good to know there’s a surf spot closer to Manila – might have to check it out! Really great guide! Some potentially controversial statements regarding Laos there, but I actually often give a lukewarm recommendation for it as well. While Luang Prabang is very nice, the distances are long and there’s not too many points of interest, so if you’re pressed for time it’s possibly one country to overlook. I love the Philippines a lot as well – underrated gem! Yeah I know I’m sure heaps of people will disagree with my Laos statement, but hey got to give an honest personal opinion and considering all the amazing places around it I’d never put it top of my to do list! Cant wait to get back to PH soon! Gosh there is just so much to see in South East Asia! I love travelling this part of the world, and hope to see as much of it and as many countries as possible. If you ever have a chance to visit Singapore again and for a few days longer than just passing through you should check out the less touristic, less expensive places like Little India and Arab Street. China Town has lots to offer as well… although I do agree that Singapore is definitely pricey especially if you are on a typical backpacker’s budget. But, you can’t visit Singapore without visiting some of the Hawker centres! Those are basically the local food markets – cheap local food, a genuine experience. Cheers for the tips – I may well be passing through there again next year so I’ll put them on my to do list! Hey Chris, cheers for the run down of your Search Asia travel highlights. I see your currently in Cambodia (as am I), it would be fantastic to meet for a beer, share some stories and if you’re missing home at all we share a hometown. I’ll be in Cambodia for the next couple weeks before a month in Vietnam, let me know if your keen bud. I’m in Siem Reap for the next few days, drop me a message on my FB as we’re also heading to Vietnam next too! Stoked that everything helped you plan your trip – have an epic time!